Note: Brooks Running sent me a pair of the new Ghost 10 shoes to try, yet all opinions are my own. Runners search, test and try many running shoes, looking for the perfect one. 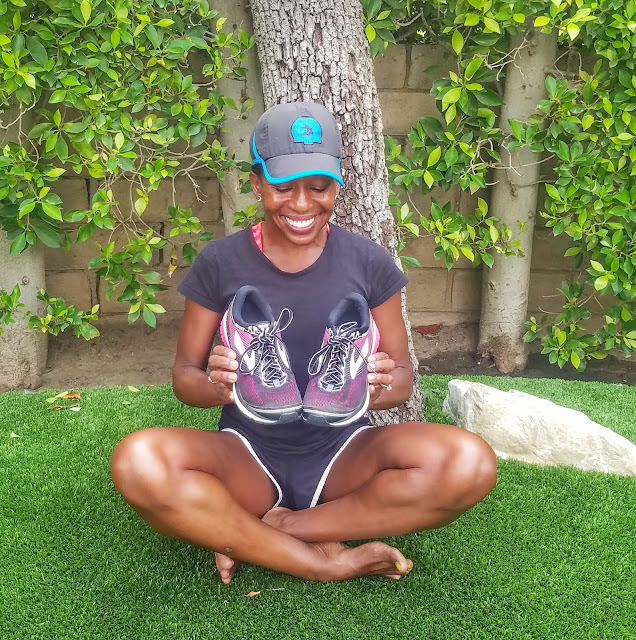 There is so much to consider in a good running shoe depending on your needs and preferences. Weight, cushioning, a wide shoe versus a narrow one, arch support and the list goes on and on. 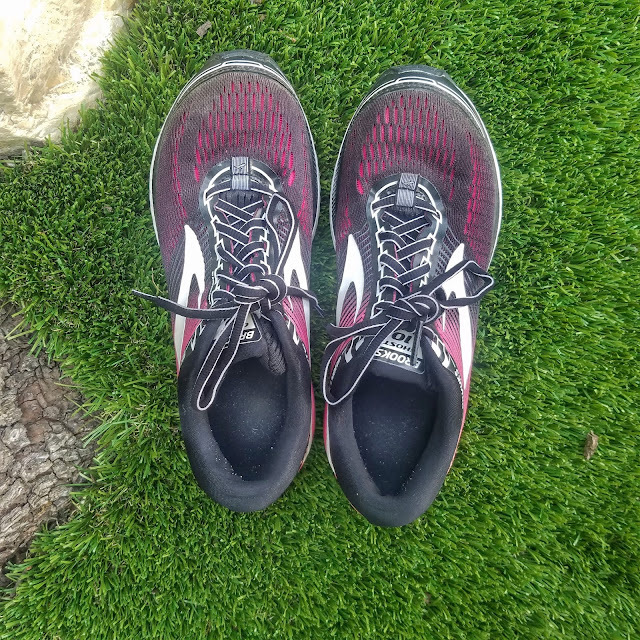 The Brooks Ghost 10 is an excellent running shoe. A well designed shoe made for the occasional runner all the way to the professionals and runners in between - you cannot go wrong in this plush ride. The Ghost 10 protects, supports and carries me through hundreds and hundreds (and hundreds!) of miles of marathon training. One detail that I immediately loved about this shoe when I first tried it on was the wide toe box. 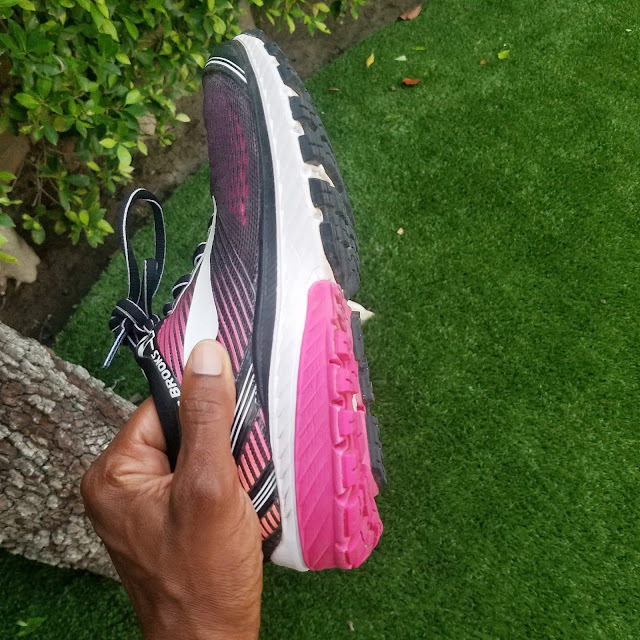 There is plenty of room for your feet and toes to feel relaxed and comfortable during a run. Runners' feet tend to swell after running for an extended period of time and the Ghost 10 takes care of that bar none. Another great feature is the air mesh upper, also right at the forefront which offers plenty of ventilation and that keeps your feet cool and dry. Check out the wide toe box and the laces are thick and sturdy. Let's talk about the midsole cushioning for a bit. 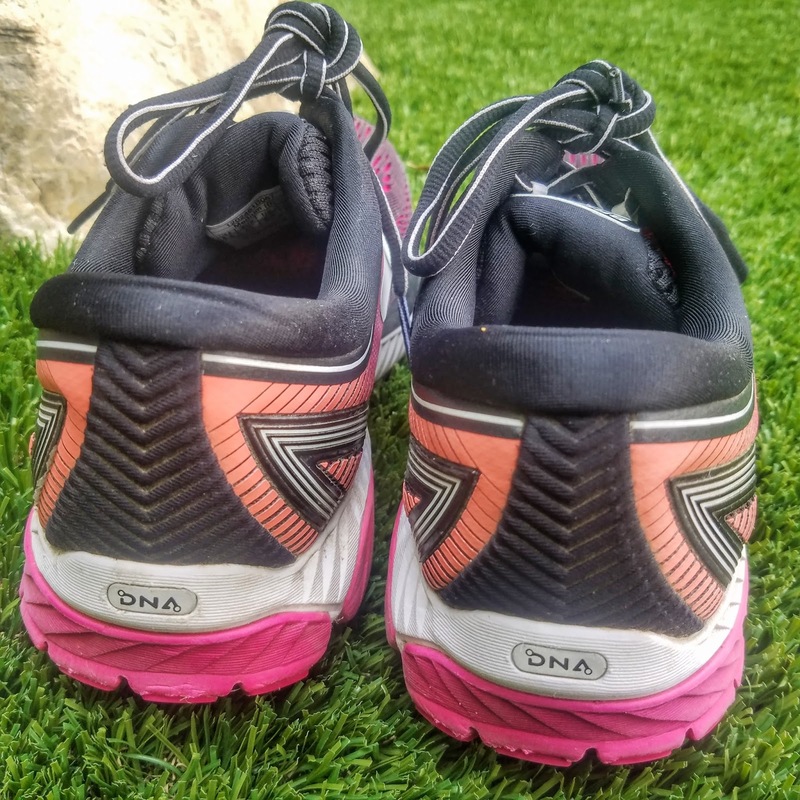 The Ghost 10 has BioMoGo DNA midsole cushioning that responds to each runner's stride and step individually. 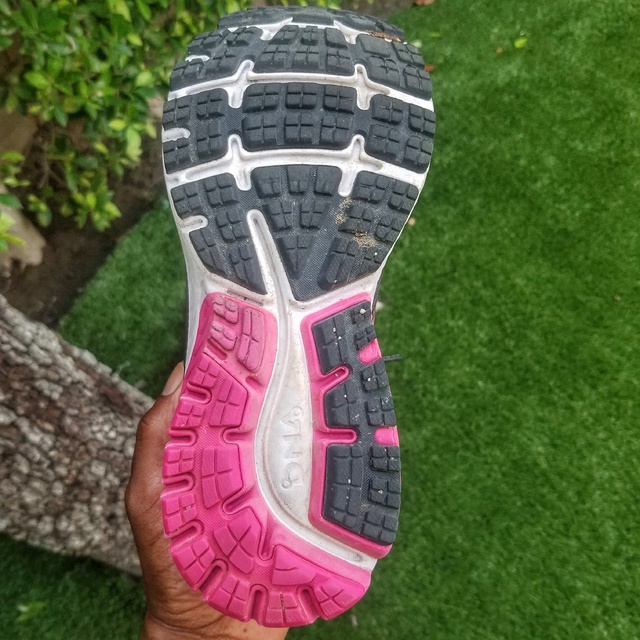 The shoe actually feels like you are walking on a cloud, yet it has firm support and it can definitely handle high mileage. The bottom of the Ghost 10 has what's called a Plush Transition Zone which helps guide your foot smoothly from heel to toe. Plenty of room and comfort in the heel. As someone who suffered from a horrible case of Plantar Fasciitis, a 12 mm heel drop is the sweet spot. I have logged 165 miles so far on this shoe on various terrain: road, trail, hard packed sand and treadmill. The Ghost 10 has served me tremendously well during this marathon training cycle so far. I love running easy in this shoe and it is light enough to give me turbo charge on the important speed sessions during the week. 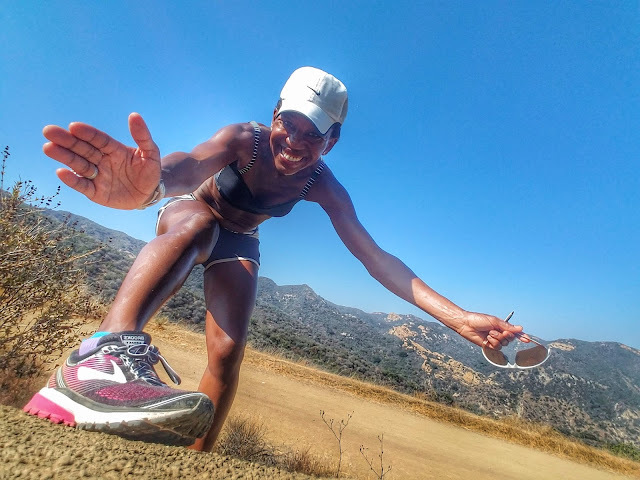 The longest training run so far has been 17 miles and my body feels so supported during all those miles. If you need a neutral shoe with a plush ride, I would highly recommend giving the Ghost 10 a try. Many running stores will let you take it for a test spin - so go for it!